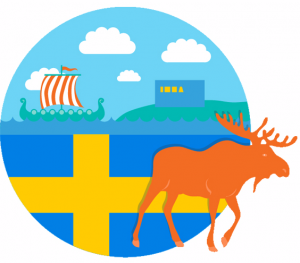 WordDive’s selection of Swedish courses has broadened again! To respond to our users’ wishes, we have added a new grammar course, which concentrates on the passive voice in Swedish. The Passive Voice course is based on WordDive’s highly popular and effective preparation courses for Finnish matriculation exams. The passive voice is used when it is impossible or unnecessary to point out who is performing the action. In Swedish, the passive voice can be expressed with the verbs vara and bli or by using the pronoun man as the subject of the sentence. However, the most common way to form the passive voice is the -s-passive, so it is absolutely worth learning. WordDive makes it easy for you: if you want to, you can just forget the complicated grammar terms and concentrate on the example sentences. You will quickly learn what it’s all about! On the course, you will learn how to use the -s-passive in all Swedish verb groups and tenses. You will also practice the correct word order. In addition, you will get to know how to form an agent with the help of the preposition av to express the subject of a passive sentence. The example sentences will also teach you useful expressions and vocabulary. The example sentences have been chosen to reflect the kind of themes and contexts where passive voice is normally used, such as news and science. However, as the main objective is to learn to form the -s-passive, the sentences are also simple to understand. The course is suitable for intermediate level Swedish students. It has already been added to the Comprehensive Swedish course package. Remember that you can also study Swedish grammar for free on WordDive’s grammar pages! Why are pictures so effective in language learning? WordDive – Best Mobile Service in Finland 2014 contest winner! WordDive courses for the Finnish matriculation exam: 85% would recommend!